This text covers types of roofs; roofing and reroofing; roof and attic insulation and ventilation; skylights and roof openings; dormer construction; roof flashing details and more. 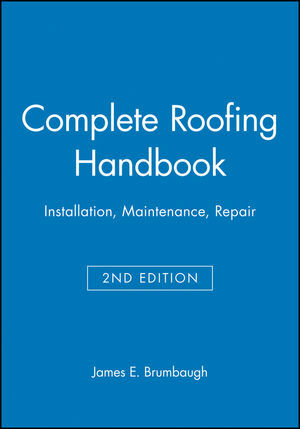 It also contains information on code requirements, underlaying and attic ventilation. James E. Brumbaugh has spent twenty years in the residential and light commercial construction industry. He is an accomplished educator fluent in several languages, and has written more than fifteen books on HVAC, construction, and the building trades. 4. Roof and Attic Ventilation. 5. Skylights and Roof Openings. 12. Wood Shingle and Shake Roofing. 15. Installing Gutters and Downspouts. 16. Roofing for Historic Buildings. 17. Historic Wooden Shingle Roofs.